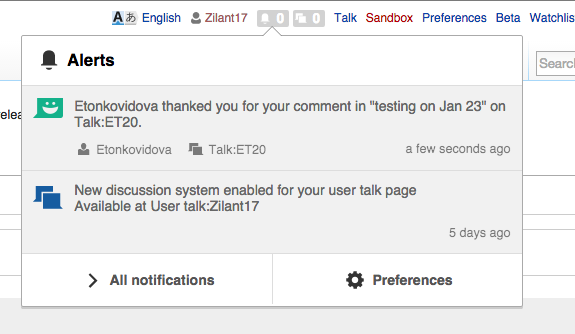 Thanks notifications for Flow comments should have a secondary link pointing to the talk page / Flow board. Catrope raised the priority of this task from to Normal. Catrope added projects: Thanks, Collaboration-Team-Archive-2015-2016. They probably shouldn't be that close together; filed T121955: Put more space between adjacent category links for that. Checked locally and on test.wikipedia. Re. the narrow issue, yes, the secondary link to the Talk page is present. jmatazzoni set Security to None.